Sophie FitzOsborne lives in a crumbling castle in the tiny island kingdom of Montmaray, along with her tomboy younger sister Henry, her beautiful, intellectual cousin Veronica, and Veronica's father, the completely mad King John.When Sophie receives a leather journal for her sixteenth birthday, she decides to write about her life on the island. But it is 1936 and bigger events are on the horizon. Is everything Sophie knows and loves about the change? 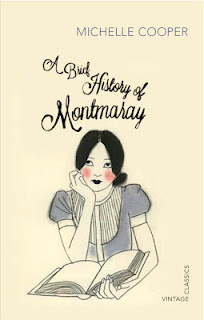 I first remember hearing about the Montmaray books over at Danielle's blog. There's a certain irony when you find out about books by Australian authors at an American blog, but these things happen! It sounded like my kind of read and so when I was given the opportunity to read it (because it has recently been rereleased here as a Vintage Children's Classic) this seemed like a good time to read the book for myself. The book is told in diary format with the author of the diary being a young girl name Sophie, or more correctly Princess Sophie of Montmaray and covers the months towards the end of 1936. Once Montmaray was a small but flourishing island nation but the Great War and the subsequent Spanish flu has decimated the population. Now there are only a few villagers who live on the isolated island, struggling to make a living. Of the royal family, Sophie and her sister Henrietta live in the 'castle' along with their cousin Veronica and their uncle King John who is a shadowy character on the edge of their lives who seems to be dealing with some form of madness. The heir to the throne, Sophie's brother Toby, is living in England, going to school and mixing with the best in society. He is accompanied by the housekeeper's son, Simon, who also has suddenly become the focus of Sophie's daydreams. For quite a while, the diary entries reflect day to day events of what essentially is life in a crumbling castle on a big rock in the middle of the ocean. The people of the island rely on passing boats to communicate with the outside world. If they need a doctor they have to hoist a specific flag to the top of the flagpole and wait for one of the passing boats to stop and offer up assistance. Sophie's younger sister Henry is a tomboy who refuses to sit down and be educated. The castle is falling apart so there are leaking roofs, dwindling supplies and more. All of those worries become somewhat less important when two German soldiers land at the island, looking for a specific artifact that may or may not be connected to the island nation. In the space of just a couple of days, absolutely everything changes for the people who call Montmaray home. The final third of the book morphs into a bit of an adventure story as there is danger and intrigue and just a touch of romance that it is very subtly implied. 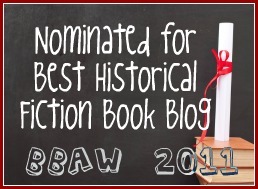 Whilst this book covers a lot of ground historically, it is not straight historical fiction. The island nation of Montmaray is fictional and so therefore are the majority of the characters and the role that Montmaray plays in European history. Having said that, Cooper covers a lot of historical ground with mentions including Henry VIII, Napoleon and the rise to power of the Nazis in Germany along with lots of other historical figures and events. The mix between real events and made up is really well handled and in this new edition there are notes to help young readers know what is real and what isn't. When a book is well written using the diary format, it is a thing of joy. All too often a diary format can feel restrictive in terms of view point and narrative. In this case, the diary format works primarily thanks to the voice of Sophie which is engaging and charming from beginning to end. I was trying to fit this book in around other reads and so was intending to read a chapter a day. There were plenty of days though when I ended up reading more than one chapter as this book was more engaging than the other book I was reading! I was charmed by the characters, setting and historical context, so I will be very much looking forward to renewing my acquaintance with the royal family of Montmaray sooner rather than later! Thanks to the author who supplied a copy of the book for review. Also take a look at her guest posted for us telling us why she loves to read and write about 1930's England. I'm definitely going to be reading this series! I am definitely going to be continuing with the series!